This page tells you about the terms upon which you may make use of this website, www.camelfordleisurecentre.co.uk (our site). 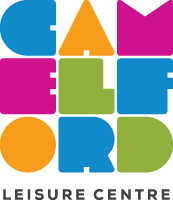 This website is operated by Camelford Leisure Centre Ltd. Camelford Leisure Centre (We) which is a member owned Co-operative Society, registered with the FCA in England & Wales (reference 031555R) and with its registered office address at Station Road, Camelford, Cornwall, PL32 9UE. 2.1 Access to our site is allowed on a temporary basis and We reserve the right to amend or withdraw content without notice. 2.2 Whilst We endeavour to keep our site available at all times, We will not be liable if for any reason our site is unavailable at any time and for any period. 3.1 We are the owner of material on our site. Our clients have granted permission for the use of certain images. 3.2 You may print and download material from this site for your personal reference and you may share the content with other people, provided that you do not modify nor reproduce any content without our prior written permission. 5.2 If you wish to link to our site, you must not imply that We are endorsing the products or services of another party and the website from which you link to our site must not contain offensive material or content which infringes any legal rights. 6.1 You must not knowingly misuse our site, by introducing viruses or other material that is malicious or damaging, either technologically or reputationally. 6.2 You must not try to gain access to our site, the servers on which it is hosted nor any computers or databases connected to our site. If you have any questions or concerns regarding these terms or any of the content on our site, please contact us by emailing info@camelfordleisurecentre.co.uk or call 01840 213188.